The Saudi Arabian newspaper ‘Akaz narrated that Samir Quntar spent 30 years of his youth in Israeli prisons and wants to return to the occupied territories saying that these lands can only be freed through resistance. Quntar said that the years he spent in prison were very difficult but also very special. He said that he could not describe the tortures and being away from his hometown in only a ten minute span though. The following is the speech of the Secretary General of Hezbollah, Seyyed Hassan Nasrallah, on the occasion of the 8th anniversary of the Resistance and Liberation Day, May 26, 2008, in southern Beirut, Lebanon. First of all, great greetings to every pure spirit of the resistance and homeland martyrs, especially to the leader of resistance martyrs Seyyed Abbas al-Mousawi, the sheikh of the resistance martyrs Raghib Hareb and our dear brother whom we miss today leader Al-Hajj Imad Moughniyah. I would like to welcome you to the 8th anniversary of the Resistance and Liberation Day. Your presence here today justifies your reality and identity and testifies once again that you are the most honorable, precious and the purest of people. Pharaoh had tyrannized on Earth, divided people into groups. He oppressed one group on behalf of the others, slaughtering its children, and ravishing its women. Indeed, he was among those corruptors. We want to bestow upon those who were oppressed on Earth and make them precedents and successors; and we will consolidate their position on Earth to show what Pharaoh, Haman, along with their soldiers have been worried from. God Almighty speaks the truth! Brothers and sisters, today marks the day of resistance and the liberation of our homeland and nation coincides with the anniversary of the calamity and the loss of Palestine as well as the establishment of the extorter’s existence. It also coincides with the 30th anniversary of Israel’s 1978 occupation of southern Lebanon and the establishment of the occupied territory, which was later expanded. This coincidence must provoke us to think twice, evaluate the situation and draw lessons and conclusions that will benefit Lebanon as well as the Muslim and Arab worlds. Although this occasion has its own intellect, emotion, literature, rights and ethics, today I will not confine myself to introductions, as there is much to talk about. Starting from Lebanon and its resistance… the latter has demonstrated two strategies, one of liberation and driving away occupiers, and the other of defending the homeland and people against any attack, invasion or threat. This is the stratagem and vision of resistance: liberation and defense. These are also the clear and joint messages of the resistance in Iraq, Palestine and Lebanon. As a result of the Israeli invasion of southern Lebanon and the occupation of a part of our land in 1978, the Security Council issued the Resolution 425. We submitted ourselves to the will of the international community and waited for its implementation. At the time, it was suggested that Lebanon was too weak to face Israel and it would therefore need a strategy of Arab unity. The UNSC decision, however, was not implemented and an Arab strategy was never found. The international community and the Arab world took no action, and the will to confront was lost. It was at this time that the Imam and leader Seyyed Moussa al-Sadr proposed that the people of southern Lebanon put their trust in God Almighty and resist by any means possible. What resulted from the false proposals of inaction? Israel weakened Lebanon and thought we were too weak to respond. This resulted in the great invasion of 1982 aiming to ultimately make Lebanon part of Israel. Some remain neutral toward the occupation while some rule the country and have an extent of authority do not feel the impact of the occupation as the most important thing for them is to eat, drink and enjoy life. Another group are spies and mercenaries, cheap tools such as Antoine Lahid’s army who despite being Lebanese committed shameful acts. Another group consists of the internally defeated elite who cooperate with the occupiers for their own benefits and theoretically believe they can minimize national casualties. Also, is a group that tacitly defies the occupation but is not willing to endure hardships and pay for freedom with their blood. Finally, there is the group that believes it has an ethical, national, religious and humanitarian responsibility to liberate their fatherland from occupation. They are ready to pay the price whatever it may be. This is the group of resistance. This is the group that takes the necessary action. This division is not exclusive to Lebanon; it is a natural, historical and social trend stemming from the loss of national unity. To those claiming that there is no national agreement regarding resistance in Lebanon, Palestine and Iraq I would say that there is also no national agreement on neutrality, treachery, cooperation or carelessness. Every group decides on its own. This is also true in Lebanon. As always, I advise nations under occupation not to wait for a national or public agreement on resistance, but to pick up weapons and fight for the liberation of their land, nation and prisoners of war and regain their dignity and glory. This cannot be achieved other than by weapons, giving blood and making great sacrifices. The resistance and the Lebanese people are intertwined with one another. Whether Muslim or not and regardless of sect and political parties, we have given countless martyrs. Self-reliance, jihad, various operations and our male and female youths have brought the resistance so far. Both the Arab and Muslim worlds were duty-bound to offer help. Many, however, have refrained to take action. It was Syria and the Islamic Republic of Iran who actively supported us. We first achieved victory from 1982 to 1985 and another historical victory was won on May 25, 2000: a magnificent victory for Lebanon, Arabs and the nation and an utter defeat for Israel that shattered its dream of expanding its territory from the Nile to the Euphrates. Israel has been cut off from southern Lebanon and western Bikaa and the Zionists have suffered a shameful defeat without gains, guarantees or concessions. While the liberating strategy adopted by the resistance succeeded, the negotiation strategy beginning from Madrid was not even able to free an inch of our land. The strategy of inaction has done nothing but strengthen our enemy and weaken our country. Subsequently, it was the librating strategy adopted by the resistance, which similarly brought success in 2000. After the 1984 calamity, Palestinians hopelessly waited for Arab support and international intervention. In Iraq, America has occupied the country under the banner of establishing a democracy. The truth is that the American occupation was aimed at monopolizing the country’s resources. Their true objectives becoming more clear every day. How? After the invasion, similar to other occupied nations I mentioned before, Iraqis were divided into two relatively large groups. One seeks a political process and the other prefers resistance, specifically an armed one. Based on our religious, ideological, intellectual, political experience as well as reality, we the Hezbollah are zealous toward resistance. Those supporting the political process have wasted a great deal of time and are today faced with an extremely difficult test, which is to determine the stance they will take now that America is attempting to impose a security deal on Iraqis, the finalization of which only requires the signatures of the Iraqi government and parliament. Islamic Revolution Leader Ayatollah Sayyed Ali Khamenei Tuesday praised the Palestinian people and the Hamas government for their robust resistance against the stiff pressures and unprecedented crimes of the Zionist regime and its bullying friends. “The Zionist regime, which once looked invincible, suffers its weakest ever position now, being unable to stand against the shelter-less and lone Palestinian nation that nevertheless has been persevering,” Ayatollah Khamenei told the Hamas Political Bureau Chief, Khaled Mashal and his accompanying delegation. “May Allah’s peace be upon the Palestinian nation which has stood by like mountains despite all these stunning and unprecedented atrocities,” Ayatollah Khamenei said. 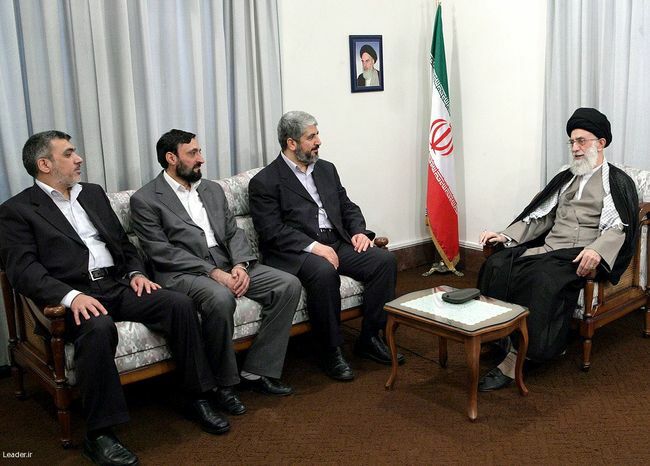 The Islamic Revolution Leader said that the sole way to free Palestine was to keep resistance and faith. He appreciated the elected Hamas authorities, not least the Premier Ismail Haniya, for adopting a brave and resolute stance. The Islamic Revolution Leader expressed deep sorrow at the current woes of the Palestinian people, especially the inhumane siege of the Gaza Strip coupled with the daily bloodshed of women, children and other defenseless people in the area. “The tragic scenes are painful. However, the perseverance of the innocent Palestinian people against the usurper Zionist regime which is backed by all sorts of economic, military and propaganda supports, generates hope and proves to be a Divine Promise,” the IR Leader added. Ayatollah Khamenei noted that perseverance in the path of God has a price, adding however that those who step in the path and endure any potential hardships would be honored by God whereas those who choose another path would pay the price of being shameful before God. Khaled Mashal for his part delivered a report on the latest Palestinian developments, especially the disastrous situation in Gaza, adding however that the Palestinian nation takes honor in its perseverance and would not relinquish resistance or support to the Hamas government under any conditions. Hamas Political Bureau Chief said the Palestinian youths have embraced spirit of martyrdom, adding that the issue had given a large boost to the position of the Palestinian resistance. Once again, the Zionist entity closely watches the ongoing political crisis in Lebanon and gives its own analysis. Hezbollah proved last week that it is the strongest force in Lebanon and could have seized power if it had wanted to, Israel’s military intelligence chief said in remarks published on Thursday. “Hezbollah did not intend to take control… If it had wanted to, it could have done it,” Major General Amos Yadlin said in an interview with the Israeli daily Haaretz. Lebanon was rocked last week by the worst violence since the end of the 1975-1990 civil war between the Lebanese national opposition and the ruling bloc’s militias. But Yadlin said Hezbollah did not want to follow the example of the Palestinian Islamic movement Hamas, which seized power in the Gaza Strip in June by ousting the forces of Palestinian president Mahmud Abbas. Hezbollah, a movement formed after Israel’s large-scale invasion of Lebanon in 1982, “understands that if it took power it would have to assume responsibility and expose its numerous weak points,” he said. 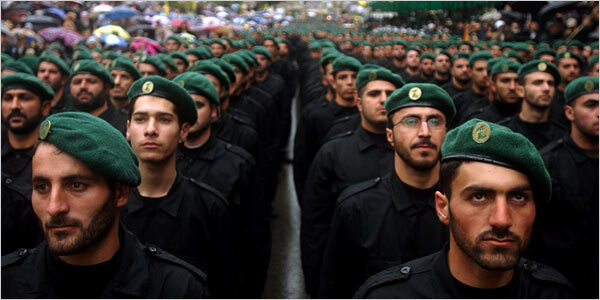 “Hezbollah proved that it was the strongest power in Lebanon… stronger than the Lebanese army.” He said Hezbollah, which is backed by Iran and Syria, continued to pose a “significant” threat to Israel as its rockets could reach a large part of Israeli territory.